These are versions for online viewing or download, of the pdf documents that are delivered with the NetRexx release package. Here the latest release version of a publication is shown; this generally corresponds to the GA (Generally Available) version of the translator and it documentation. For older versions of the documents that correspond to a particular NetRexx release level, we refer to the download package for that level. This guide is meant for an audience that has done some programming and wants to start quickly. 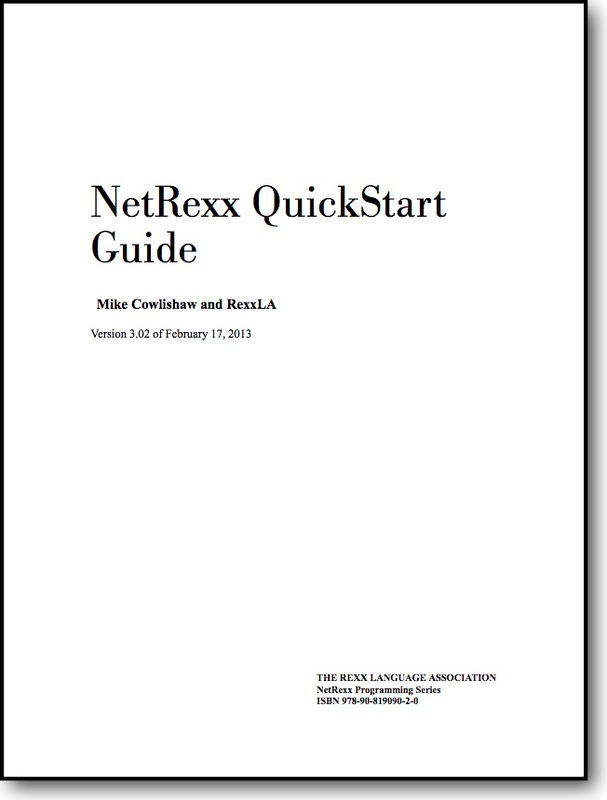 It starts with a quick tour of the language, and a section on installing the NetRexx translator and how to run it. It also contains help for troubleshooting if anything in the installation does not work as designed, and states current limits and restrictions of the open source reference implementation. The Programming Guide is the one manual that at the same time teaches programming, shows lots of examples as they occur in the real world, and explains about the internals of the translator and how to interface with it. Currently in development  please tolerate the white spots for some time. Referred to as the NRL, this is the formal definition of the language, documenting its syntax and semantics, and prescribing minimal functionality for language implementors. 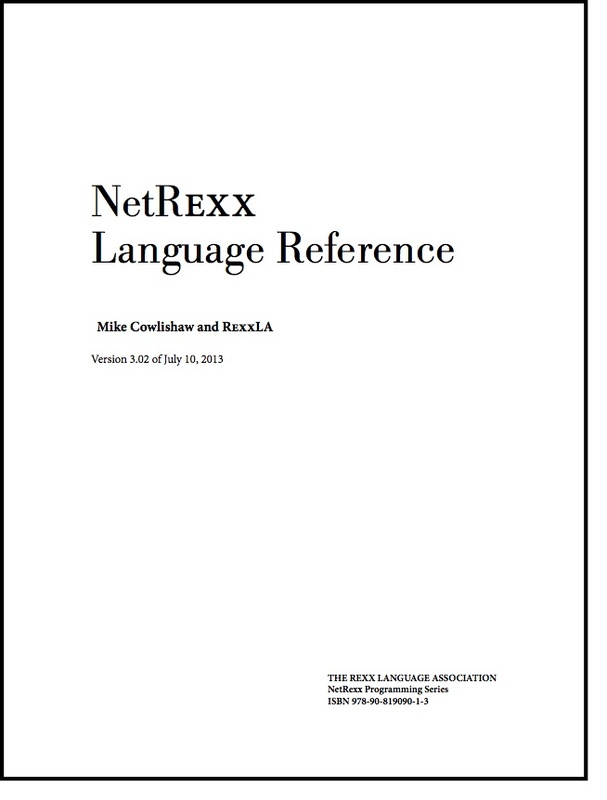 It is the definitive answer to any question on the language, and as such, is subject to approval of the NetRexx Architecture Review Board on any release of the language (including its NRL). These books include the NetRexx book by Mike Cowlishaw, now out of print but still available, and two IBM RedBooks. 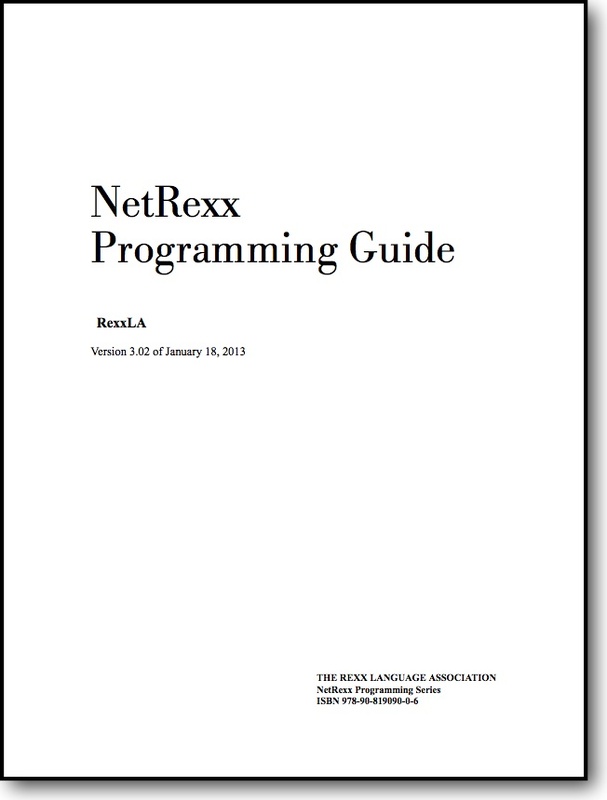 The Prentice Hall publication that contains the Language Definition and introduced NetRexx to the world. 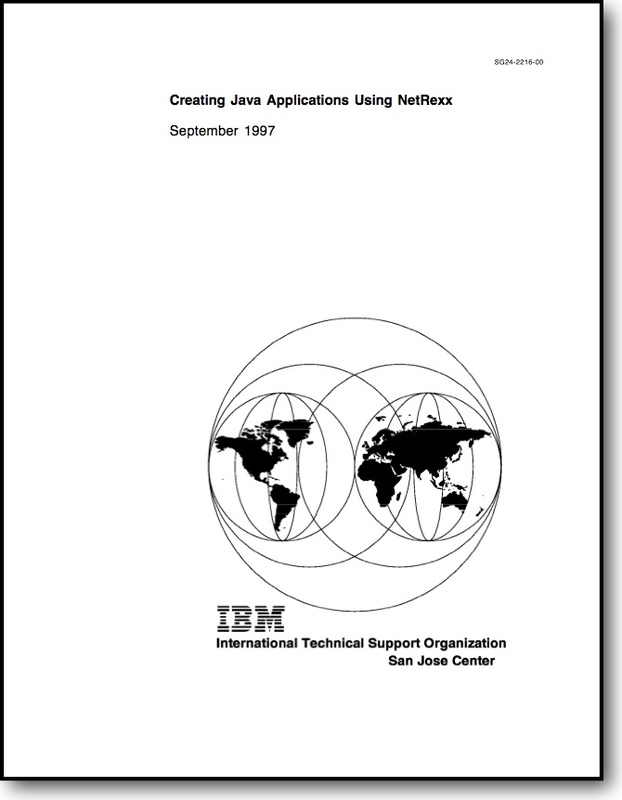 Produced by an IBM RedBook team, this book from 1997 goes into details of how to interface with Java, and was the starting point for many in their Java/NetRexx careers. 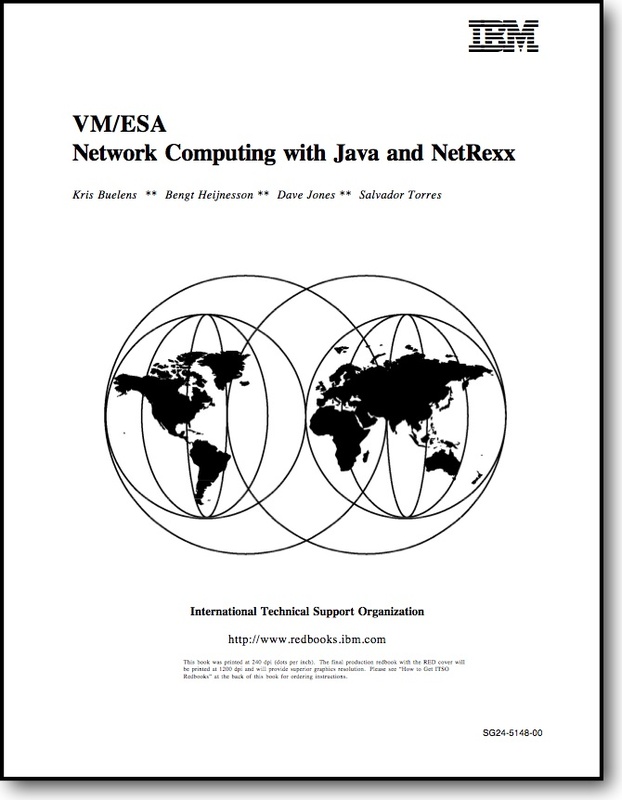 Produced in 1998, concentrating on the VM/ESA operating system and the then nascent Java technology on the platform.